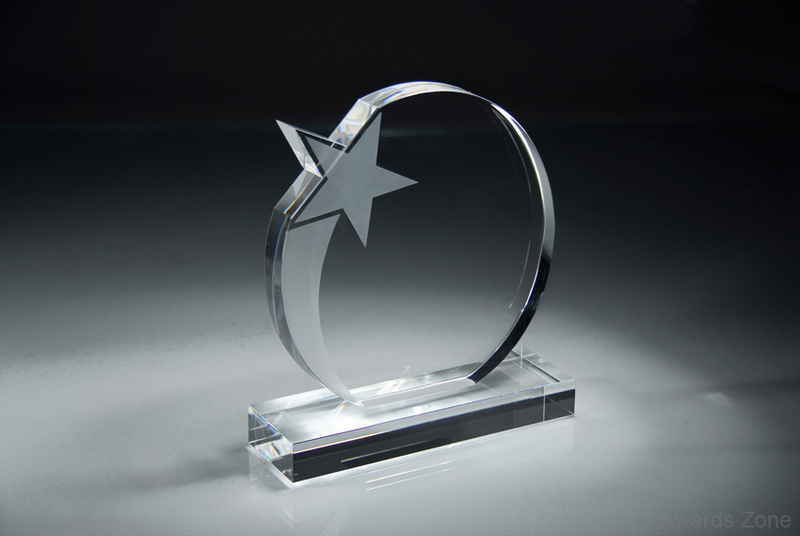 Round Prism Optic Crystal Standing piece with frosted shooting star design. Comes on a crystal base packed in a deluxe velour lined presentation box. LARGE: 6" x 6 3/4"
SMALL: 5 1/4" x 6"